Liverpool sign goalkeeper Alisson Becker from Roma. Jurgen Klopp have finally solved goalkeeper issue in his squad as he signs world class keeper from Roma. 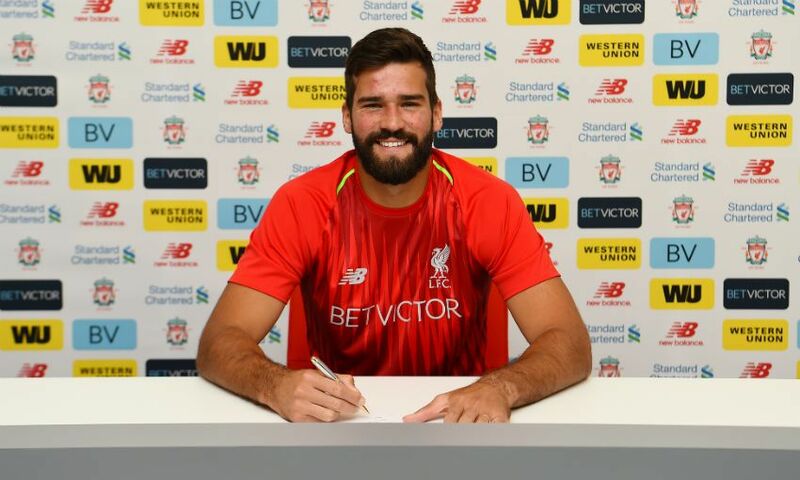 Liverpool have completed the signing of goalkeeper Alisson Becker from AS Roma, according to official website. The Reds have been keeping tabs on Alisson for the past several months and now have finally concluded his deal for a world record fee around £62million. The 26-year-old passed a medical earlier today and seal a long-term contract. The Brazilian goalkeeper was also on several top clubs' radar including Real Madrid and Paris Saint Germain, but the Reds easily won the race. Alisson has been called as the “Messi of goalkeepers” by his coach. Current goalkeepers Simon Mignolet and Loris Karius could now be planning for a move away from Anfield. The former has been linked with several clubs, but the latter might be happy to stay as a backup keeper. Liverpool legend Jamie Carragher also urged the club officials to sign a stopper after awful mistakes from both the keepers. Jurgen Klopp has signed four players Alisson, Fabinho, Naby Keita and Xherdan Shaqiri so far this summer. Nabil Fekir's move is also likely to happen in the next few weeks. Meanwhile, Liverpool third choice keeper Danny Ward has sealed a move to Leicester City for a reported fee around £10million.